“Finding Neverland” is an original musical with music and lyrics by Gary Barlow and Eliot Kennedy and a book by James Graham. 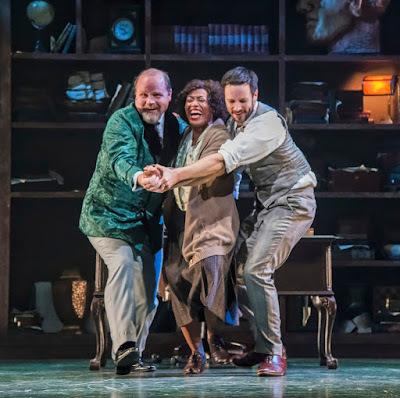 It was inspired by the 1998 play “The Man Who Was Peter Pan” by Allan Knee and his 2004 Oscar-winning film adaptation “Finding Neverland” by David Magee. 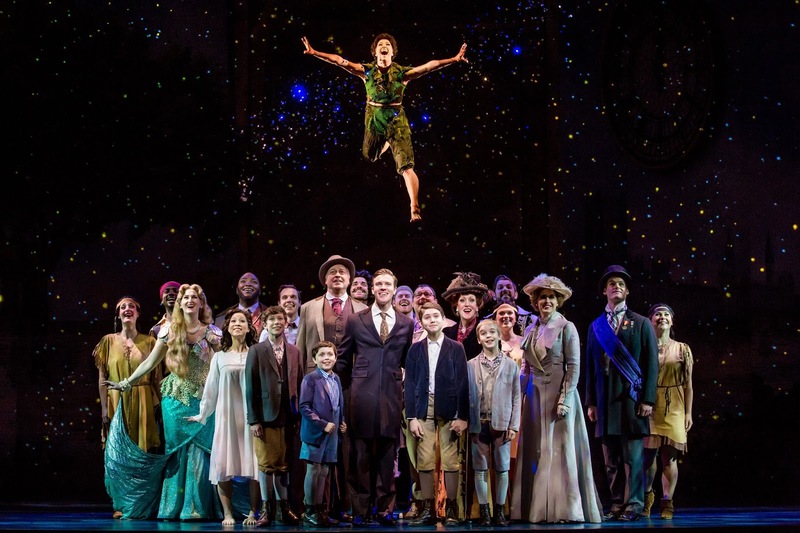 Though “Finding Neverland” ran on Broadway for 17 months, it never garnered a Tony nomination, much less an award. After seeing it at the Hippodrome, I have to wonder how that was possible given the performances, technical marvels and yes, the story. J.M. Barrie, who had been struggling to find inspiration for a play, strolls with his dog into London’s Kensington Gardens in 1903 and encounters the recently widowed Sylvia Llewelyn Davies and her four young sons. He quickly is enthralled by the boys’ imaginative adventurous games and bonds with them as well as their mother. One son, Peter, is not on board yet as he is still grieving the loss of his father and doesn’t want to grow up to face the harsh realities of life. As it turns out, neither does Barrie. They all become friends much to the chagrin of Barrie’s wife Mary and Sylvia’s mother, the aristocratic Mrs. Du Maurier. The Barries’ marriage is deteriorating, which aids the evolving closeness he develops with Sylvia and his affection he has for his sons. Meanwhile, theatre impresario Charles Frohman is struggling to mount a successful play for all of upper crust Londoners to enjoy as much as Barrie is struggling to write one. Barrie’s breakthrough is ultimately realized when he creates Peter Pan and Neverland based on the lives of the Llewelyn children and the villain (Captain Hook) inspired by the grumpy Frohman. “Finding Neverland” takes the audience on a journey that is filled with make believe adventures, joy and laughter. But then some of life’s unfair realities are encountered and melancholy sets in, followed by resolve and optimism. Handsome Billy Harrigan Tighe puts on a stunning performance as J.M. Barrie. 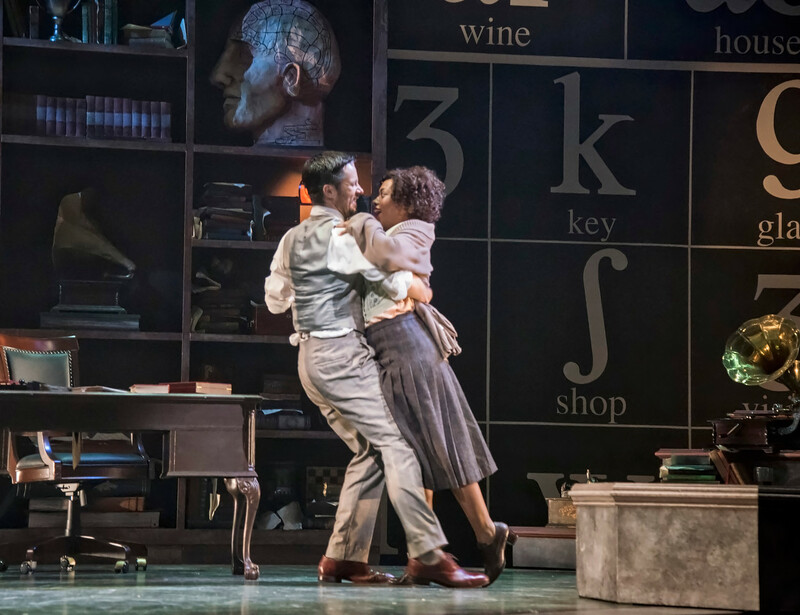 His chemistry with Sylvia and the Llewelyn Davies children hits the mark, which is an integral part of the story. Mr. Tighe’s gorgeous tenor voice provides superb musicality to the production. He is exceptional in solos, such as “My Imagination,” and “Stronger” but is also enjoyable in duets with Christine Dwyer as Sylvia in “Neverland” and the love ballad “What You Mean to Me.” His duet with Connor Jameson Casey as Peter the night this performance was reviewed in “When Your Feet Don’t Touch the Ground” is especially tender and emotional. Ms. Dwyer is beautiful to look at and equally beautiful to hear. “All That Matters” and “Sylvia’s Lullaby” are examples of her lovely soprano. Seasoned veteran John Davidson romps through his role as Charles Frohman, the skeptical theatre producer in desperate need for a successful play. Mr. Davidson competes with the four kids as well as Sammy, the shaggy dog Porthos as a scene stealer and it’s difficult to tell who wins. A total curmudgeon, Frohman doesn’t care much for kids. One funny impromptu development occurred in the second act of this reviewed performance when Frohman stated rather disingenuously that he likes kids. A youngster sitting in the balcony promptly shouted, “No you don’t,” which caused the audience to erupt with laughter resulting in a pause in the dialogue. Undaunted, Mr. Davidson let the reaction settle down, and he seamlessly continued his lines. As Sylvia’s gossipy mother, Mrs. Du Maurier, who is resistant to Barrie’s relationship with her daughter and grandsons, Karen Murphy shines in the role. Comical performances are turned in by Dwelvan David as Mr. Henshaw, Noah Plomgren as Lord Cannan, and Matt Wolpe as Mr. Cromer (the excellent actor) as well as others in the cast. The Llewelyn Davies kids who form the focus of the story were portrayed ably at his reviewed performance by Colin Wheeler as George, Turner Birthisel as Jack, Tyler Patrick Hennessy as Michael and Connor Jameson Casey as Peter for whom Peter Pan is named after. They even take a turn in producing and performing their own little play that magnifies the cuteness factor. As proficiently as this production is performed, the technical elements take it to another level. Eye-pleasing scenery was designed by Scott Pask, which changes fluidly throughout. A large clock fixed at 12:00 appears in many of the scenes. To me, it metaphorically represents how Peter’s and Barrie’s lives are stopped at childhood without wanting to ever grow up. Kenneth Posner’s lighting design including effective use of projections magnificently works in synch with Jonathan Deans’ sound designed to produce amazing special effects. This is particularly evident in the thunderous "Stronger" that concludes the first act and “Something About This Night” but was also effectively used in other parts of the production. Suttirat Anne Larlarb designed the exquisite period costumes. And Mia Michaels choreographed the energetic dance sequences under the orchestrations by Simon Hale. 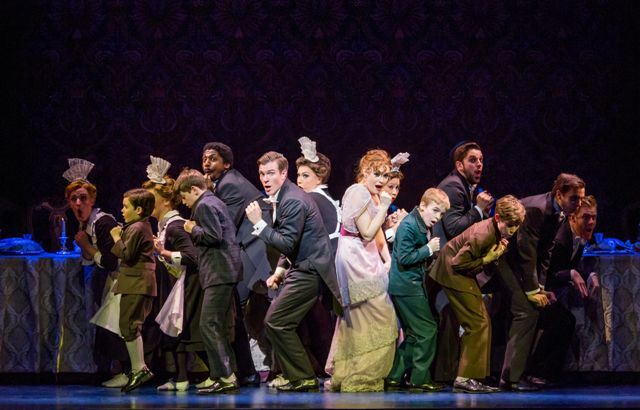 Go see “Finding Neverland” at the Hippodrome, which is playing for an all-too-brief time.. It is an entertaining, imaginative, well-directed and performed production. Don’t forget to bring the kids. Running time. Two hours and thirty minutes with an intermission. 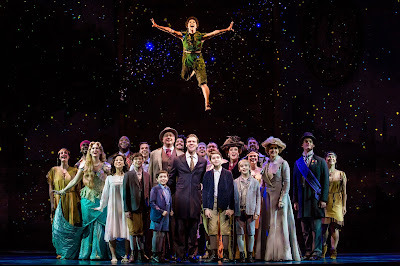 “Finding Neverland” runs through July 2 at the Hippodrome Theatre at the France-Merrick Performing Arts Center, 12 N. Eutaw St, Baltimore, MD 21201. For tickets, call Ticketmaster at 800-982-ARTS, visit the Hippodrome Box office or visit ticketmaster.com or BaltimoreHippodrome.com. It was my first Broadway LP album, and I must have played it a hundred times loving each song like it was the best of the best. The musical presents an enjoyable storyline woven together by a lush score, lavish costumes and eye-pleasing sets. So you can understand my apprehension when early chatter suggested that a “new” My Fair Lady directed by Alan Souza would be mounted at the Olney Theatre Center. In fact, the program quotes Artistic Director Jason Loewith touting the Center’s “reputation for rigorous explorations of the classics.” Butterflies started to creep in because I’ve seen in the past how some directors take classics on a dubious course in the name of creativity and frankly blow it. However, I am pleased—no ecstatic—to report that this iteration of My Fair Lady at Olney does not deviate at the core: all the extraordinary songs and characters are retained, and except for some tweaks around the edges including changing the setting to the 1920’s—10 years later than the original—simpler scenery, and the casting of younger male leads, this production, despite a few minor flaws, excels. I applaud the efforts of Mr. Souza for keeping the production true to its successful roots and showcasing the sterling talents of the superbly cast leads and terrific but relatively small ensemble. The music by Frederick Lowe and the utterly outstanding lyrics by Alan Jay Lerner are the centerpiece of My Fair Lady. The book by Mr. Lerner was based on George Bernard Shaw’s Pygmalion. The familiar story centers on a young Cockney flower girl, Eliza Doolittle, literally plucked from the streets of London by erudite phoneticist Professor Henry Higgins in an uphill battle to turn her speech patterns around and ultimately make her pass as a lady. Their relationship takes on an interesting dynamic as the show proceeds. All this transpires with the clear division, values and conflicts between the upper and lower classes of London as the backdrop. 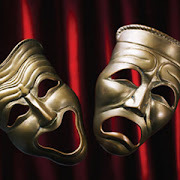 With most musicals, if there are three or four songs that are memorable, that would be considered a success. In My Fair Lady’s first-rate catalog there are well over a dozen such songs, each distinct and blessed with wonderful melodies and witty lyrics. The songs don’t just serve as filler or interruptions; they move the action forward and maintain an integral place in the story. The iconic “I Could Have Danced All Night,” “The Rain in Spain,” “On the Street Where You Live,” and “Get Me to the Church On Time” are favorites for sure. But even the others, such as “I’m an Ordinary Man,” “Wouldn’t It Be Loverly,” “You Did It,” and “Show Me” are also examples of tuneful numbers that always please. Mr. Lerner’s lyrics are as good as it gets in musical theatre. They advance the story with wit and charm, and many leave a smile as the numbers are performed. In the Olney production, however, I found that several of the songs’ arrangements allowed for hurried performances by the vocalists. Because of that increased tempo, the marvelous lyrics contained in “Why Can’t the English?”, “I’m An Ordinary Man,” “With a Little Bit of Luck,” and “Hymn to Him” for instance, the full potency of those lyrics is not as completely absorbed as they should be. If anything, the lyrics should be drawn out a tad more so the audience feels the impact of their wit. One small quibble I have is with the song “Just You Wait,” a number where an exasperated Eliza is expressing her defiance towards Higgins, Ms. Campbell needs to be consistent with the dialect. It’s noticeable to those of us My Fair Lady enthusiasts. Eliza hadn’t mastered the proper speech at this point so the Cockney version of “just you wait” should be pronounced “just you white” and the word “late” should be pronounced “light” throughout the song. Hopefully, that will be fixed for future performances. Other than that minor hiccup, Ms. Campbell is outstanding as a vocalist, and her acting is spot on as Eliza with all the voice inflections, facial expressions and body language required by the part. As the pompous, chauvinistic bully Professor Henry Higgins, Danny Bernardy hit it out of the park aided by a superbly strong speaking voice—perfect for theatre. His onstage chemistry with Ms. Campbell is fantastic and essential for the production to be successful. Solid all around and executing his songs with the appropriate amount of flair, Mr. Bernardy is a man in perpetual motion in virtually every scene. It’s not that he is dancing, but his precise high energy movements on the stage, especially during his vocal performances, are well choreographed and executed. Higgins’ sidekick is Colonel Pickering, also a phoneticist, who wagered that Higgins could not turn the disheveled Eliza into a lady to pass as such in London’s upper crust society. He lost the bet but is pleased to see the results. Todd Scofield ably plays the role of Pickering authoritatively trying to rein in Higgins’ impatience and coldness towards Eliza. Eliza’s father, Alfred P. Doolittle, is an unmarried working class boozer. Chris Genebach plays the role to the hilt with a muscular voice and excellent dancing. “With a Little Bit of Luck” and “Get Me to the Church On Time” are his featured songs, and he along with the energetic ensemble under the choreography by Grady McLeod Bowman, perform these numbers exceptionally. Benjamin Lurye plays Freddy Eynsford-Hill, Eliza’s suitor with whom she has little interest. His one number, “On the Street Where You Live” (and reprise) was performed very well and was an audience pleaser. Notable performances were also turned in by Valerie Leonard as Higgins’ stern housekeeper, Mrs. Pearce, as well as the socialite Mrs. Higgins, mother of Henry, who clearly has issues with her son. The remainder of the cast and ensemble support the leads with great talent. Christopher Youstra is the Music Director of this song-splashed show. Andra Velis Simon competently conducted the 11-piece orchestra without drowning out the vocalists. Sound Designer Matt Rowe deserves props for his simulation of galloping horses circling the theater’s interior during the race at the Ascot Racetrack. Costume Designer Pei Lee does a good job of having the cast attired in period garb representative of the 1920’s. Other than for the scenes in Higgins’ study where an impressively tall dropdown book case dominates the stage, James Fouchard designed a simple but functional set. The moving of small set pieces around the stage during some of the numbers by the performers add texture to the visuals. All in all the Olney’s version of My Fair Lady scores high marks for not only staying true to the classic work but also for enabling a talented, energetic cast to do justice to this magnificent musical. With a little bit of luck, with a little bit of luck, you should find the time to see this show. My Fair Lady runs through July 23 at the Olney Theatre Center, 2001 Olney-Sandy Spring Road, Olney, MD 20832. Tickets may be purchased by calling 301-924-3400 or by visiting online. First, he never mentioned Russia once throughout your piece as if that cloud suddenly disappeared. The Russian meddling in our election and Trump’s at best indifference to it or at worst involvement in it will detrimentally affect the GOP more than the Republican’s sabotaging of Obamacare or the other issues he cited. Second, his lecturing the Democratic minority leaders for not legitimizing the Trump presidency is laughable. Where has he been the previous eight years when Republican leaders (and the GOP Congressional caucus) not only not legitimizing President Obama in ways too numerous and too sickening to list here, they literally deprived him of his Constitutional right to nominate a Supreme Court justice. Third, he mentioned Betsy DeVos and “sound ideas” in the same sentence.